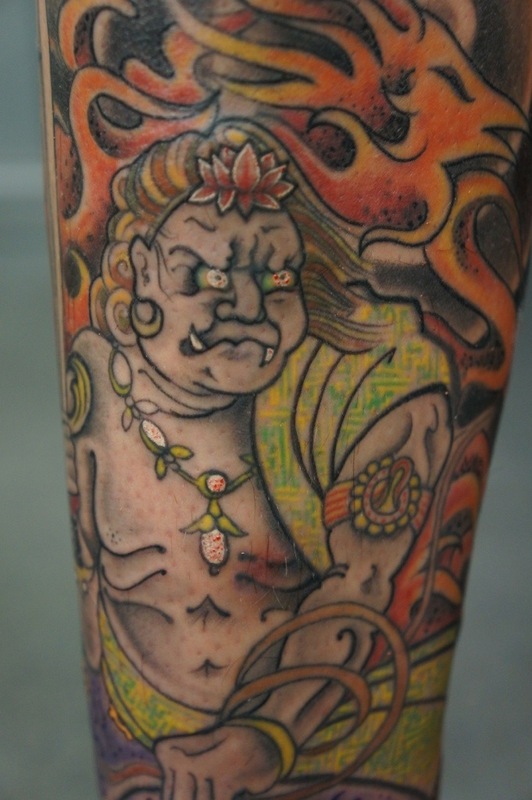 Fudo Myoo (“the immutable one”), the Buddhist divinity of fire, is one of the most important beings venerated at Akakura Mountain Shrine. He is known by his flaming sword and rope, with which he slashes away material connections and binds up evil-doers. 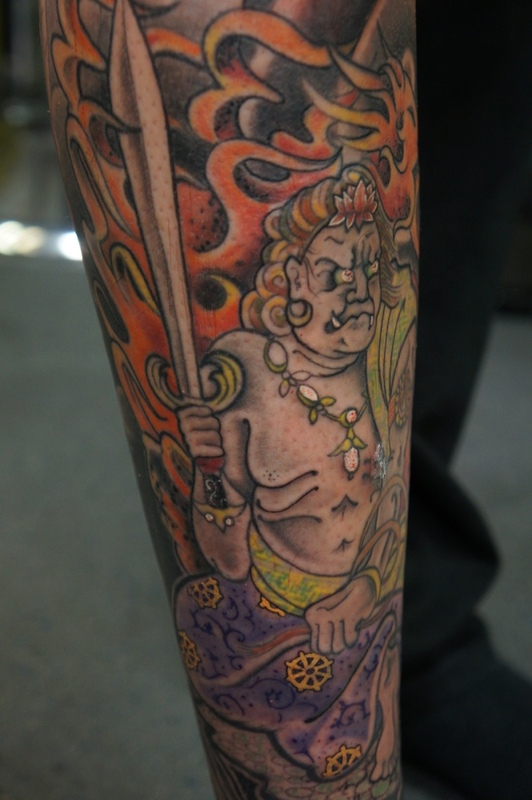 His sword is used at Akakura in the Sword of Fudo healing ritual several times each year. 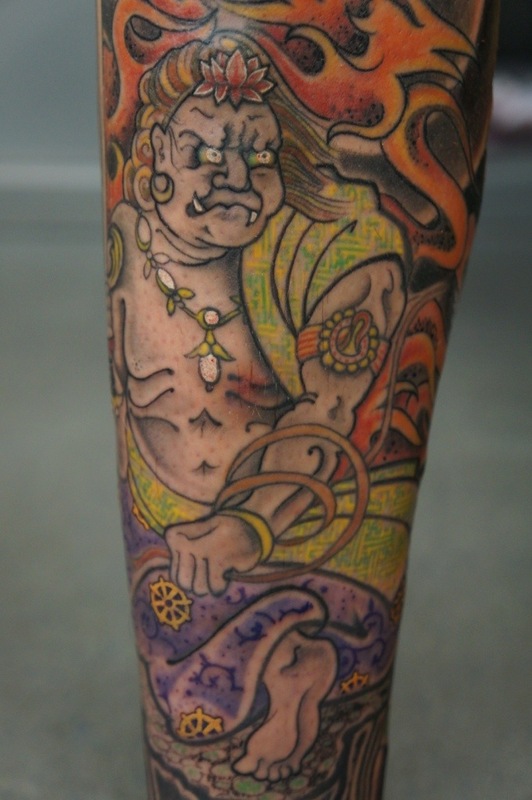 This entry was posted in custom tattoo, glasgow, japanese tattoo, roddy mclean, tattoo glasgow timeless roddy mclean custom tattoos japanese traditional black n grey, tattoo sleeves and tagged Fudo myoo, fudo tattoo, glasgow tattooist, Irezumi, scotland tattoo, tattoo artist Glasgow, tattooer. Bookmark the permalink.